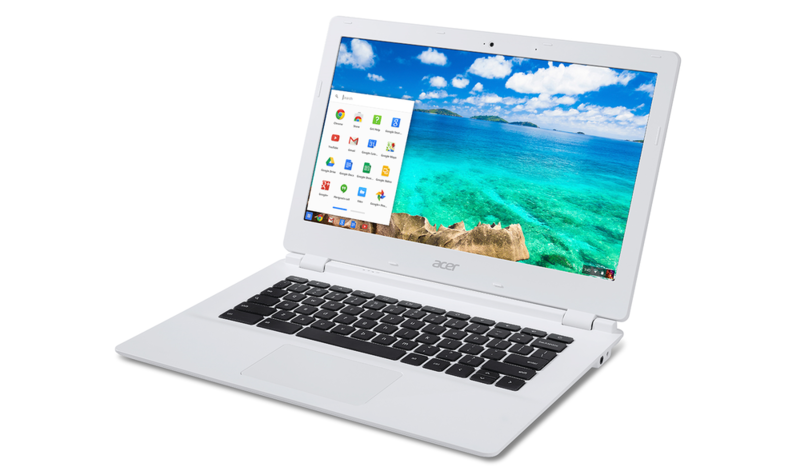 Cheapness, not performance, continues to fuel the popularity of Chromebooks. Their inexpensiveness relative to Windows and Mac laptops makes them an attractive proposition for light tasks such as document processing and web browsing. But NVIDIA wants to change that perception. Announced this morning, the Acer Chromebook 13 packs a Tegra K1 processor, the same found in NVIDIA’s SHIELD Tablet. The paucity of high-end Chromebooks could signal buyer disinterest in raw power, but unlike Google’s Pixel, the Chromebook 13 will launch at $279, a price in line with most other competitors. Nvidia’s positioning the Chromebook 13 as the ideal device for demanding WebGL applications and multitasking, but the Chromebook has an advantage in at least one other important area: battery life. Thanks to Tegra K1, NVIDIA states the device lasts 50% longer than any other Chromebook on a single charge, typically 13 hours. The Chromebook 13 measures 13 inches diagonally, is fanless, sports a 1080p display, and is, according to NVIDIA, “one of the thinnest Chromebooks on the market” at 18mm. It’s available for preorder starting today from Amazon and Best Buy. If you haven’t picked one up yet, is this the Chromebook you have been waiting for?